No gentleman's wardrobe is complete without a pair of brogue shoes. Go for an edgy design packed with character with brogues by Jeffery-West, look to traditional designs and expert craftsmanship with Oliver Sweeney brogues, or to meet a smart-casual criteria then our range of Paul Smith brogues offer leather and suede brogues perfect to smarten up off-duty attire. Men's brogue shoes comprise sleek shape and the finest leathers which will work just as well in the office as they will during downtime. 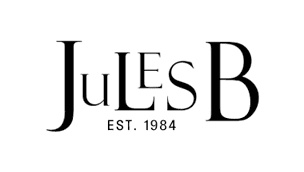 Browse the wide range of shoes at Jules B today to find the perfect pair for you.